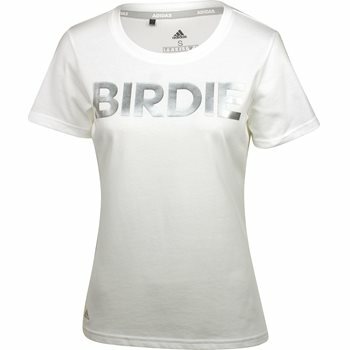 The Adidas Birdie t-shirt brings a playful pop to the links with “BIRDIE” graphic across the chest. It offers fabric that is lightweight, breathable, and machine washable. The t-shirt features UV protection against harmful sunrays and moisture wicking technology to keep the skin dry when sweating occurs.